Recently Oracle announced the release of the .300 patch for 11.1.2.2. This is an unique patch that is quite a bit different than patches we have traditionally seen. Historically, patches to enterprise Oracle products such as the database have been done in releases – bulk patch sets that apply to all situations and address a wide variety of bugs or security vulnerabilities. 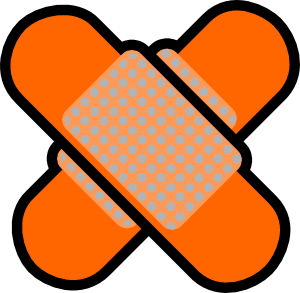 However, Hyperion patches to the EPM suite have traditionally been one-off very specific break-fix patches. Normally, you would never apply patches just because they exist but only if a patch addresses a specific issue under an exact situation. Hyperion only released bulk fixes along with major version releases. The .300 patch is different. Much different. This is the first time I have seen a suite-wide patch set released for this product. My gut tells me that this will be the new methodology for Oracle to keep it more in line with how patch releases are done with their other products. The .300 patch addresses many bug fixes in the 11.1.2.2 version. A lot of these issues were a result of converting some products such as Planning and HFM to the new Oracle Fusion ADF language to make it more compatible with APIs and provide a more familiar look and feel. There are many fixes in this release that specifically address ADF issues. As you know or may not know Oracle and their partners were not recommending HFM customers to upgrade to 11.1.2.2 because of the bugs associated with it. Simple things, such as creating new HFM applications, had issues. Many of these issues were related to the ADF conversion and HFM’s total reliance on Microsoft IIS and DCOM technologies, which is foreign to the traditional Fusion model. The .300 patch addresses many of these issues which might make the 11.1.2.2 version a solid consideration for Planning and HFM shops alike. As a result, if you want to patch one component, you need to patch them all, as they are all a prerequisites to each other. There are literally hundreds of fixes across all these products. About 100 Planning fixes alone. Undeniably, this patch mandatory for all 11.1.2.2 implementations. The totally shocking element to this is that there are actually NET NEW FUNCTIONALITY enhancements included in this path set – not just bug fixes. …Along with about 60 HFM bug fixes. Take a look at the patch readme’s for the list of all fixes. Don’t underestimate the level of effort either. It’s important to note that this is not a fully installable release, but a patch set that must be applied to the 11.1.2.2 base release. There are even pre-requisites that are needed before you can install the patch set itself. Depending on the modules you have, it can be quite an effort. Don’t be surprised if it takes a full day. If you have ERPI or FCM, or are in a complicated highly available clustered environment, it could take a lot longer. We have performed many of these patches on Unix and Windows and we certify. Feel free to reach out if you are interested in laying down this patch. Due to it’s complexity, I would recommend having a certified Platinum partner install, test, and document the process for you. Reply to this post with any experiences you have had with this patch! ~ by Eric Helmer on September 26, 2012.
thanks for the great info Eric!! !